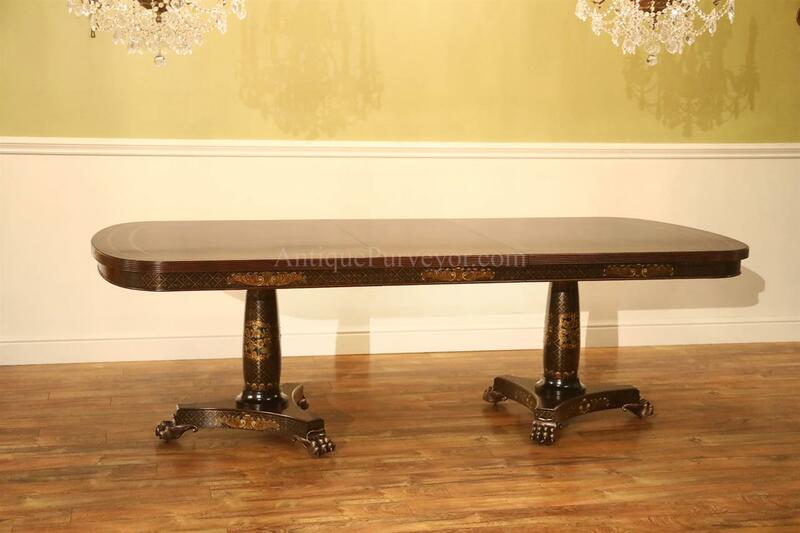 Description: Gold, black and brass accented Regency dining table with bookmatched and slip crotch mahogany Veneer field, Chinoiserie details and solid brass Lion feet. 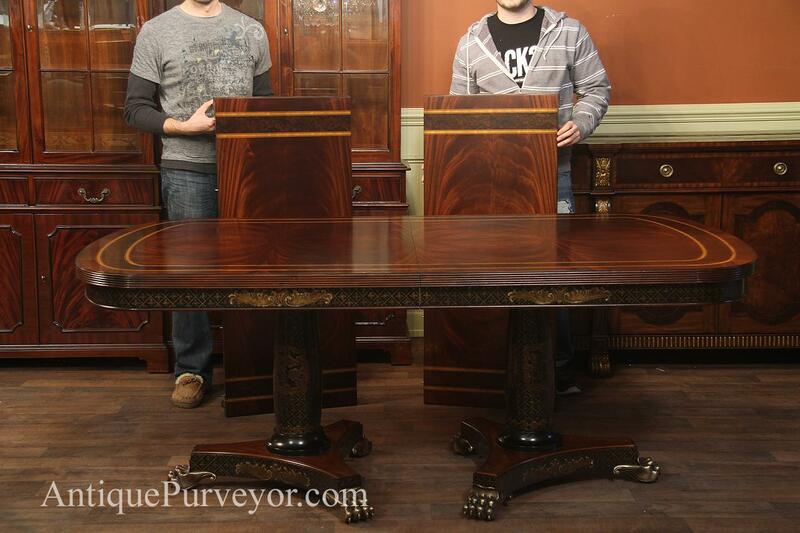 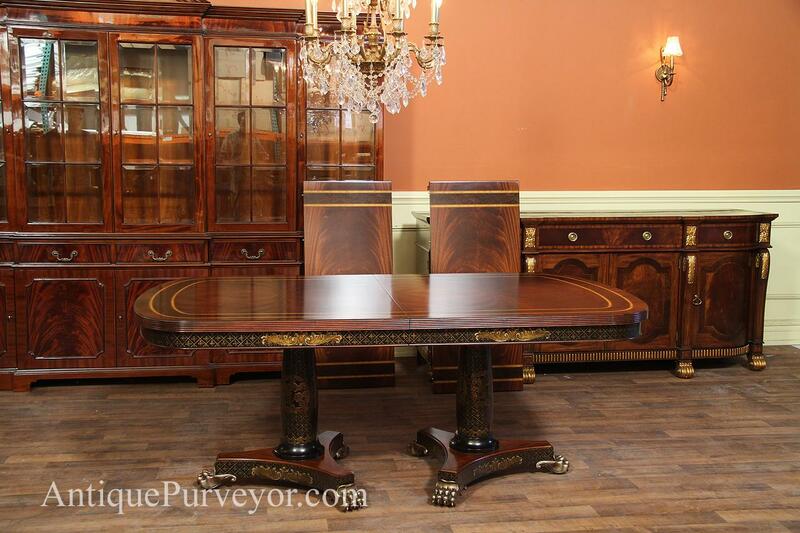 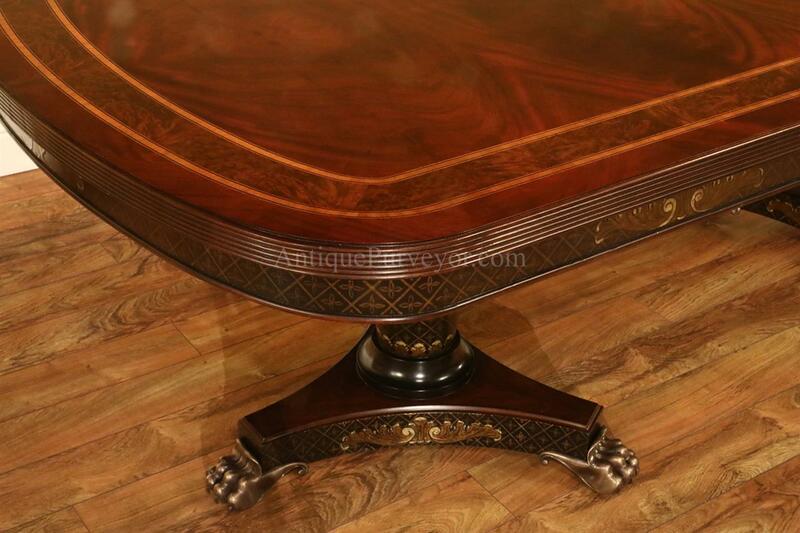 Double pedestal mahogany dining table with 2 leaves seats 10-12 people. 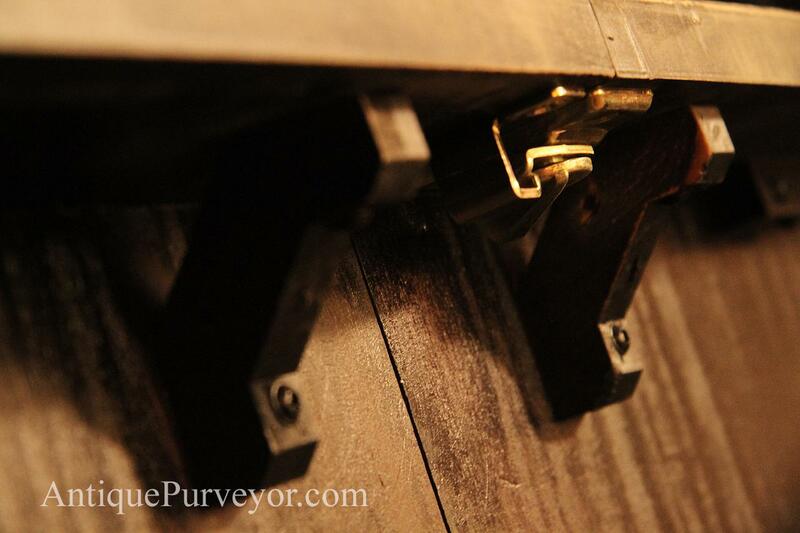 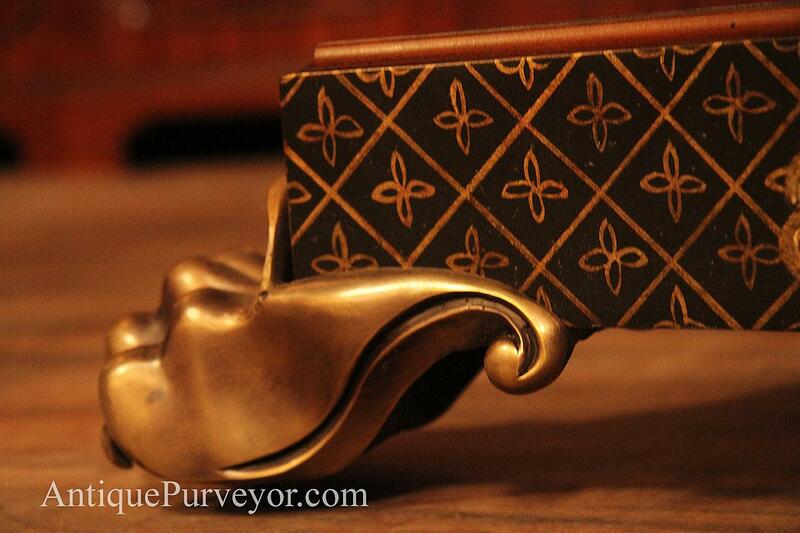 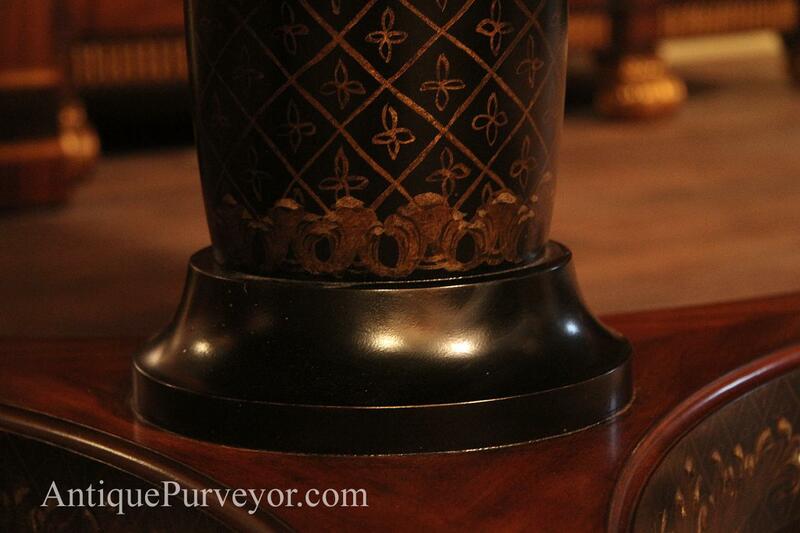 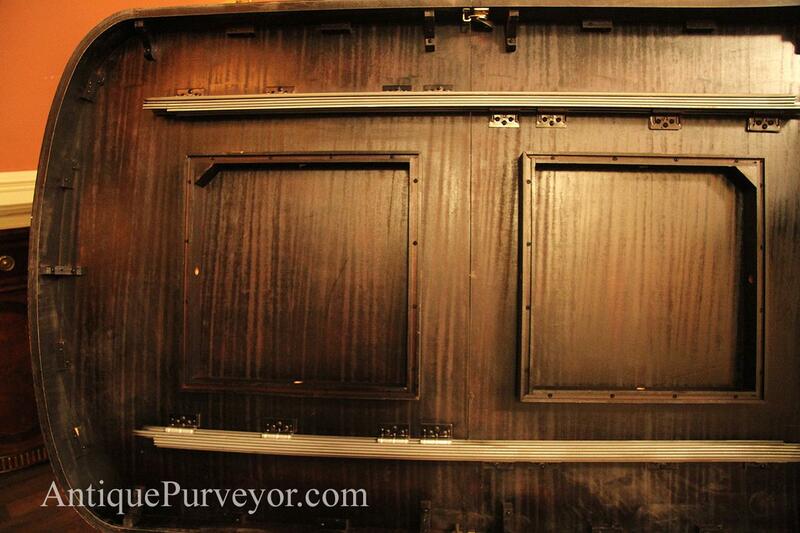 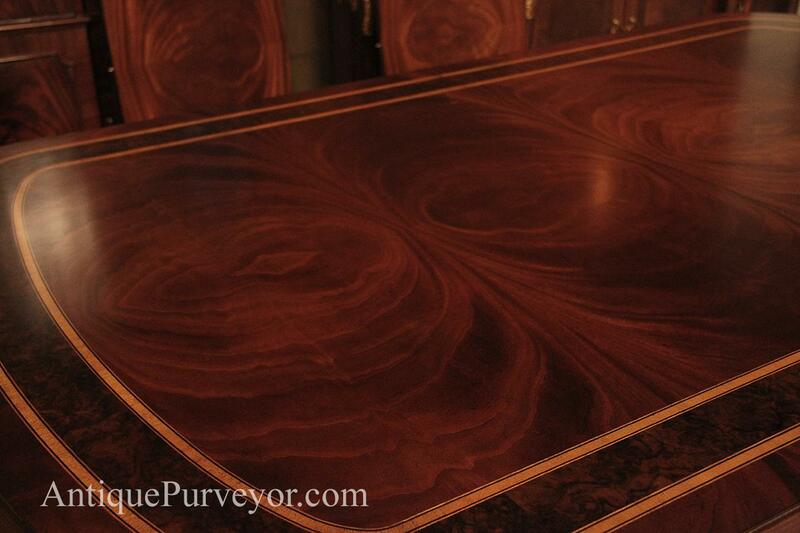 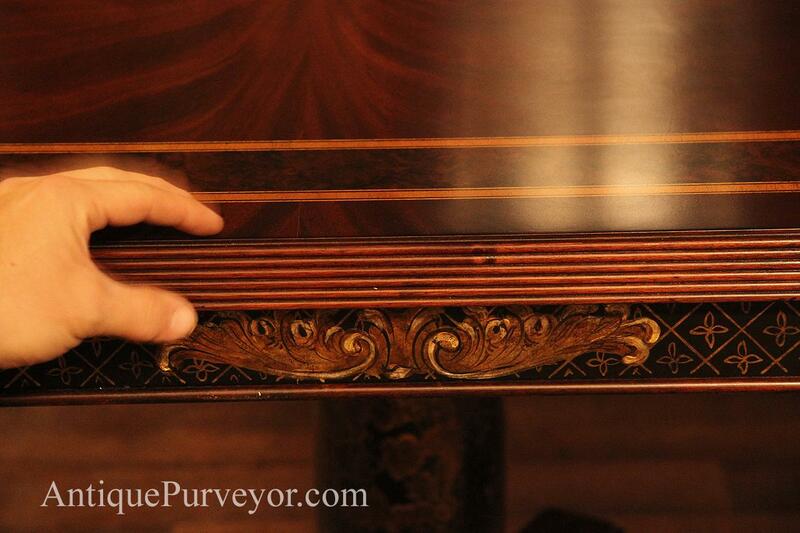 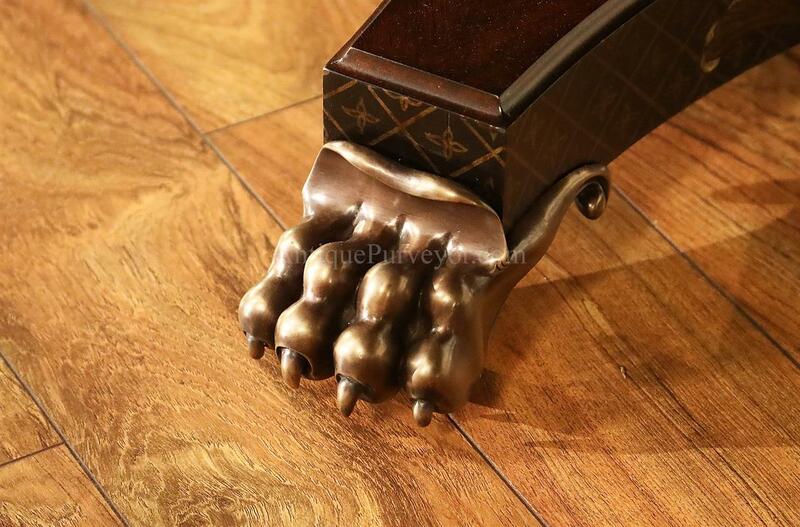 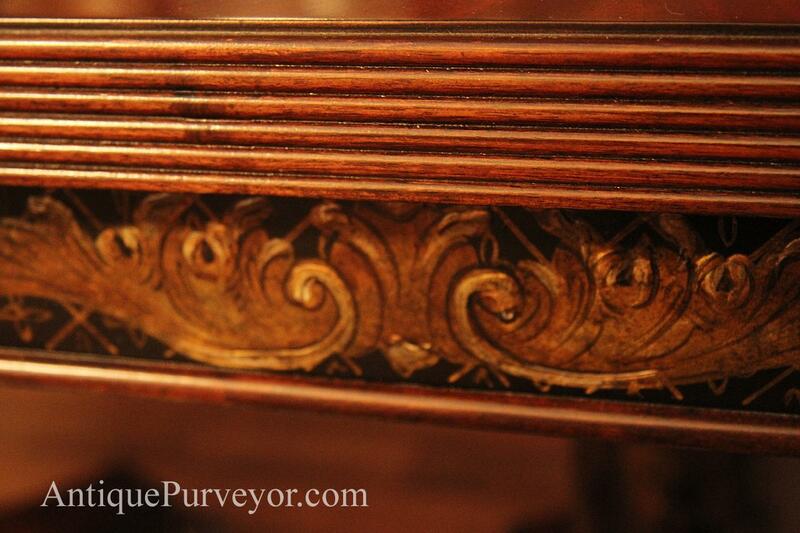 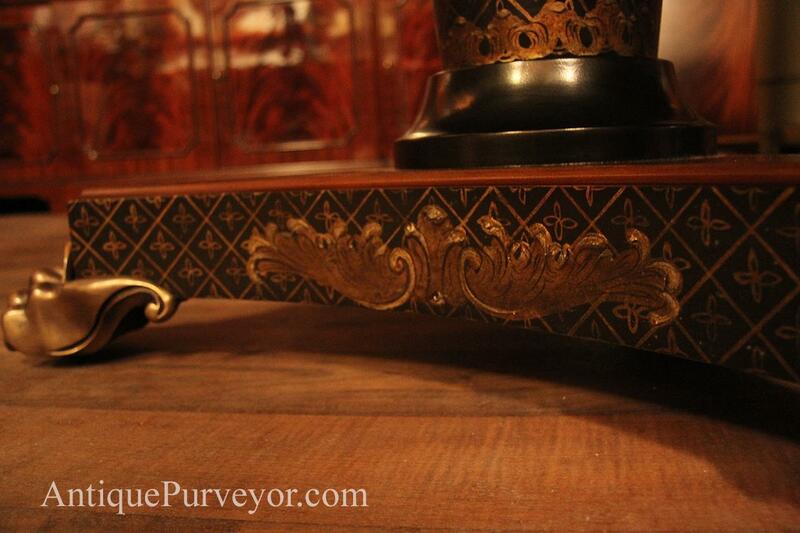 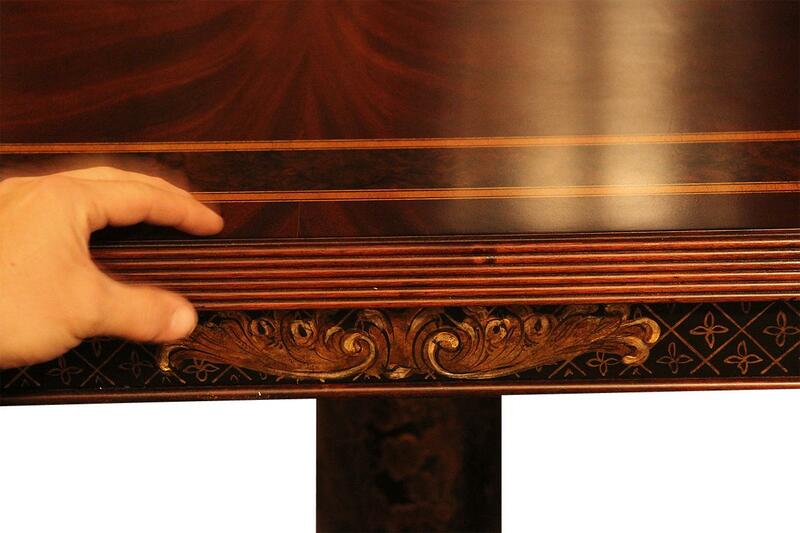 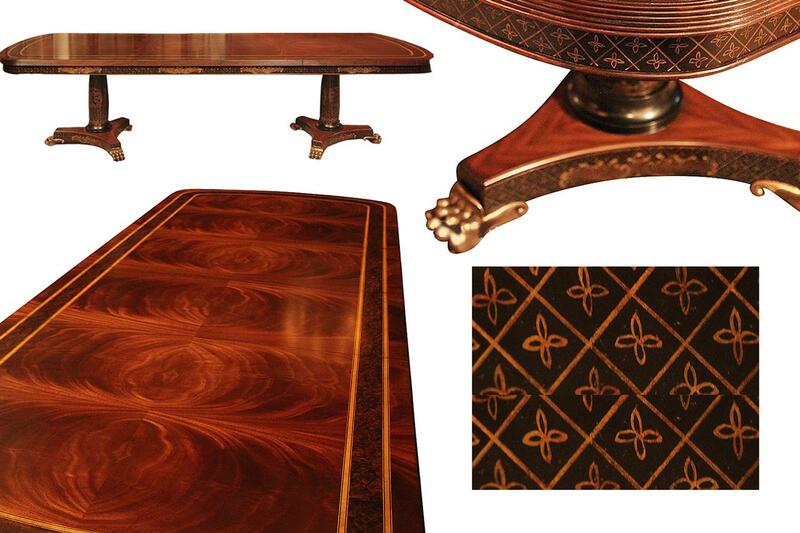 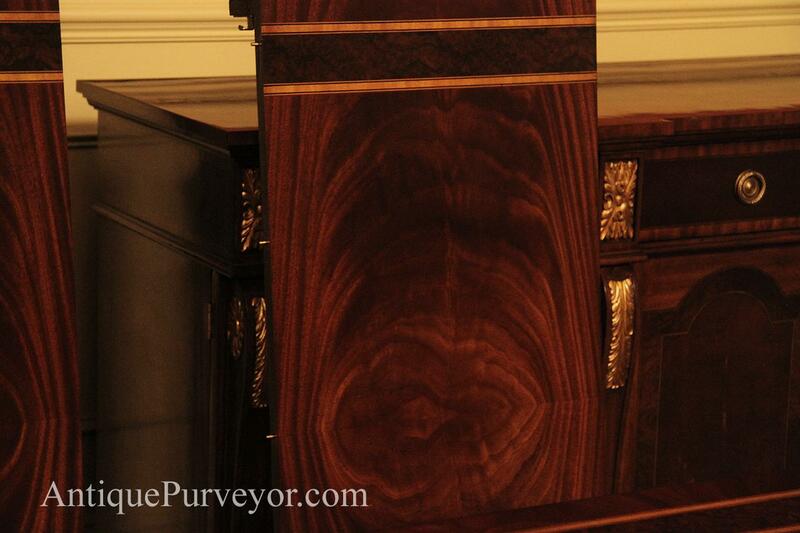 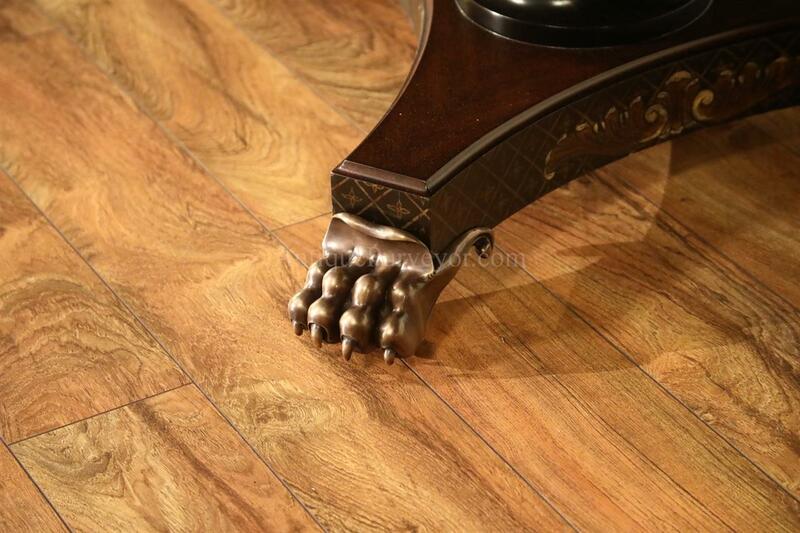 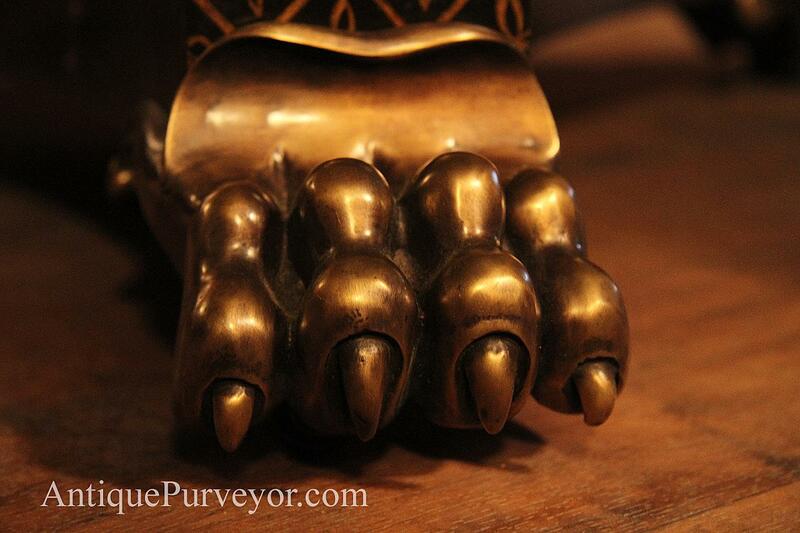 Amazing detailed table for a designer dining room. 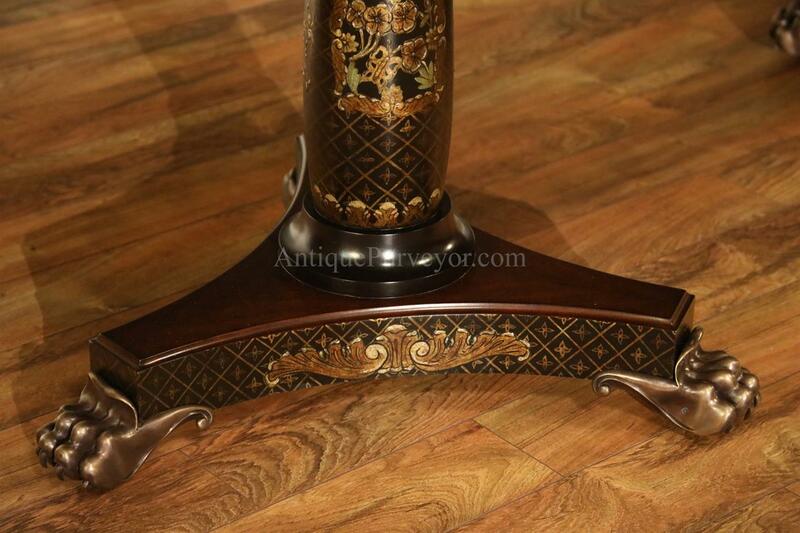 This table has an extra wide edge, which is nearly 2" and the table also offers an apron with floral or fleur des le style handpainted details in gold and black. 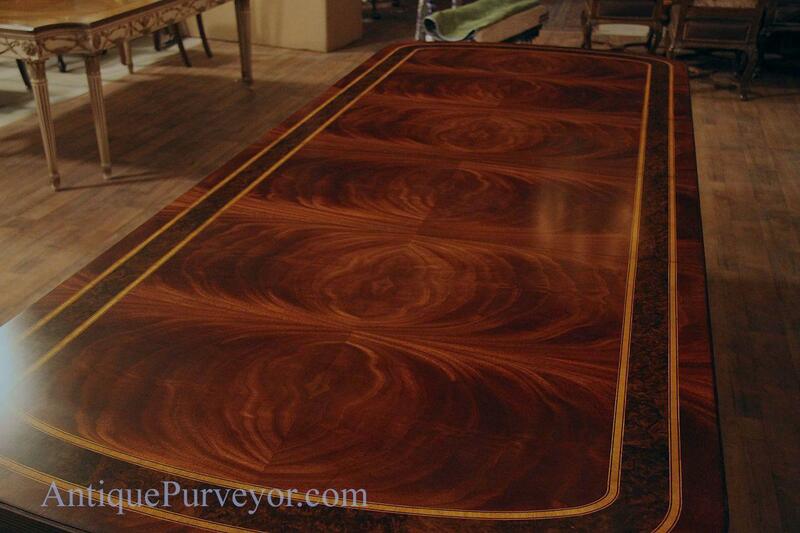 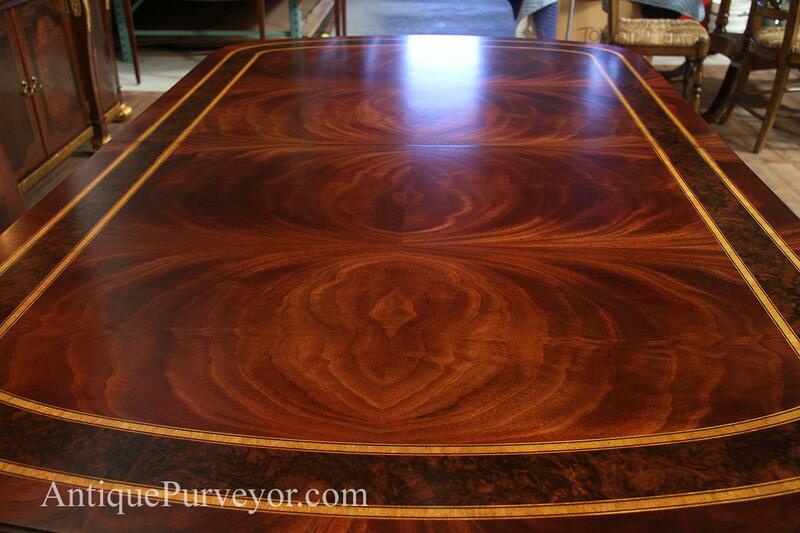 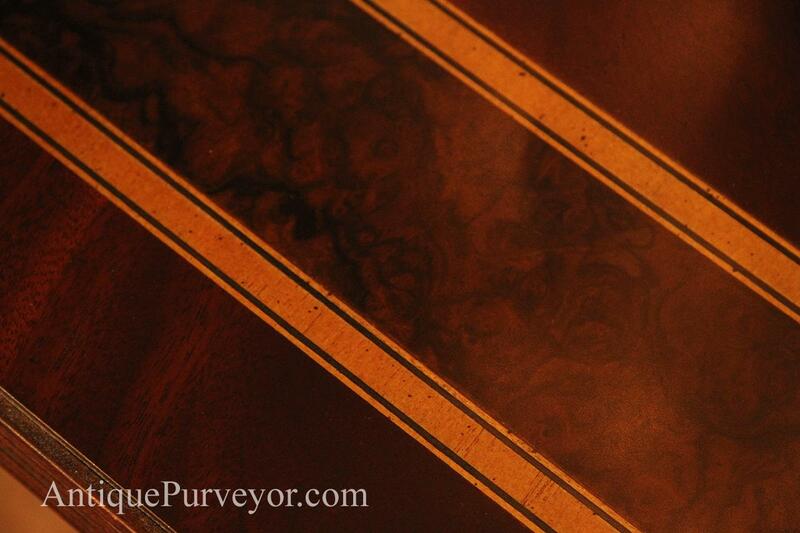 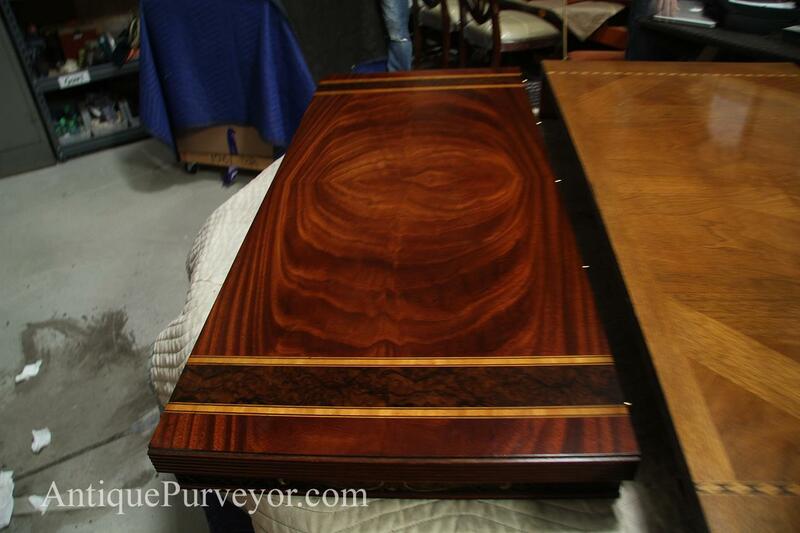 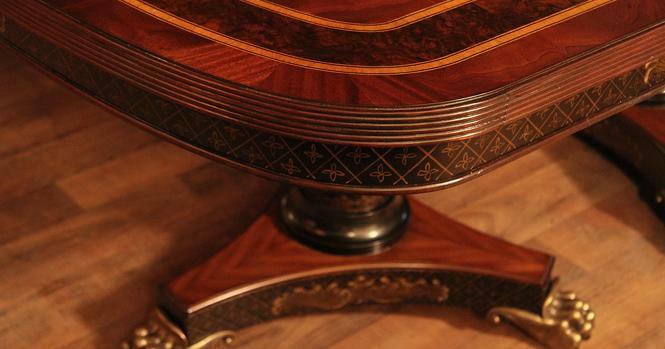 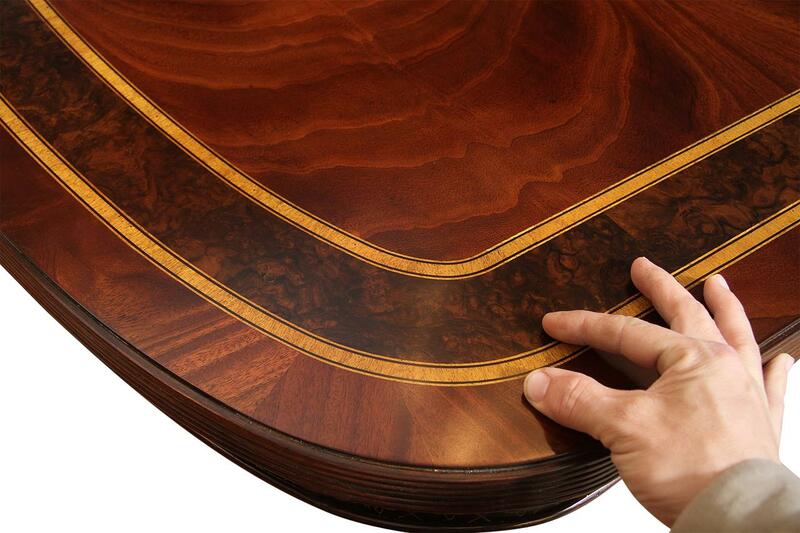 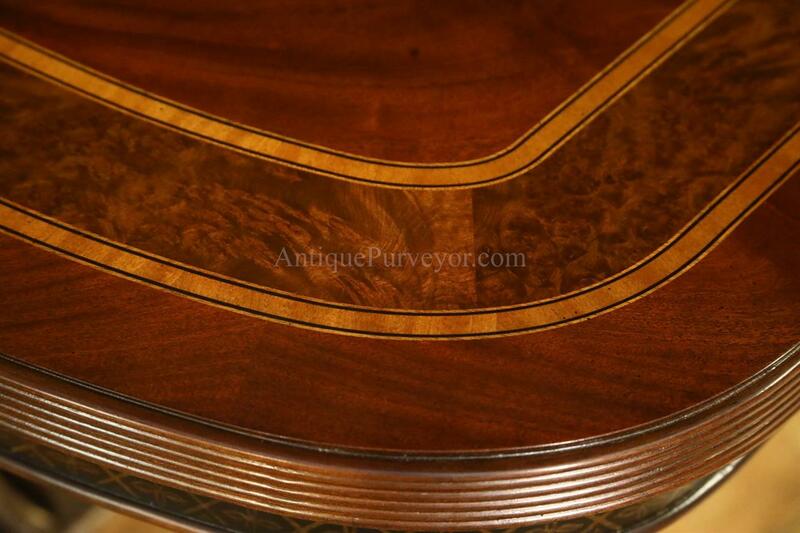 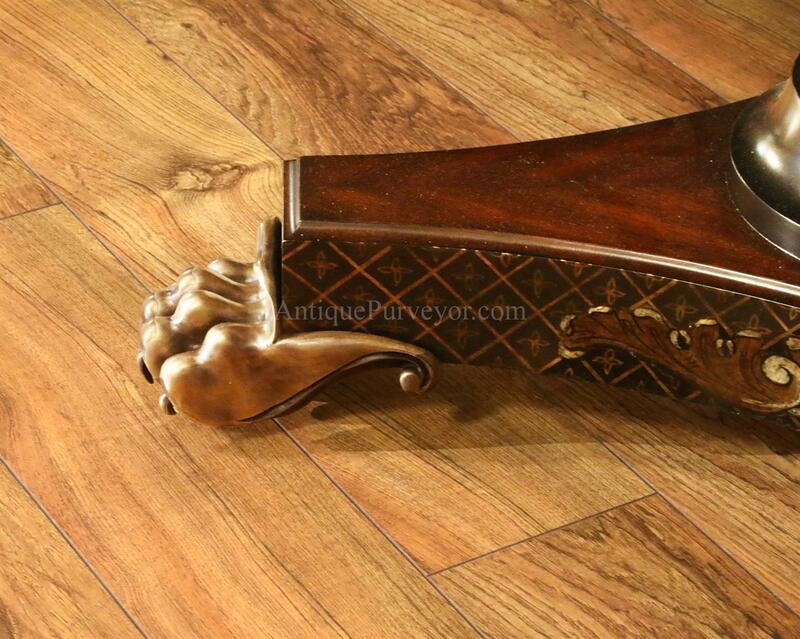 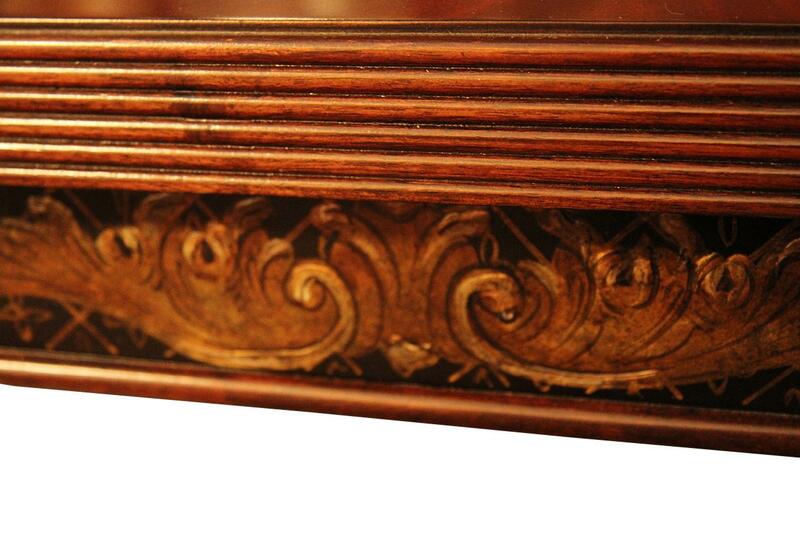 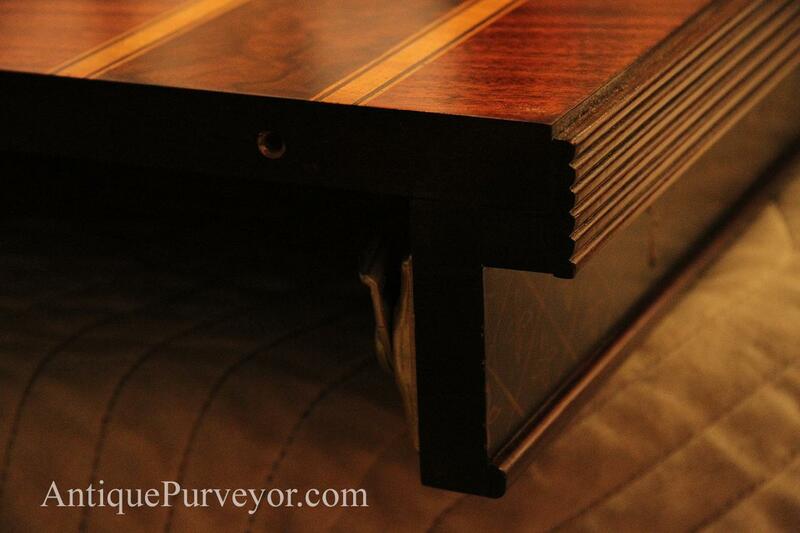 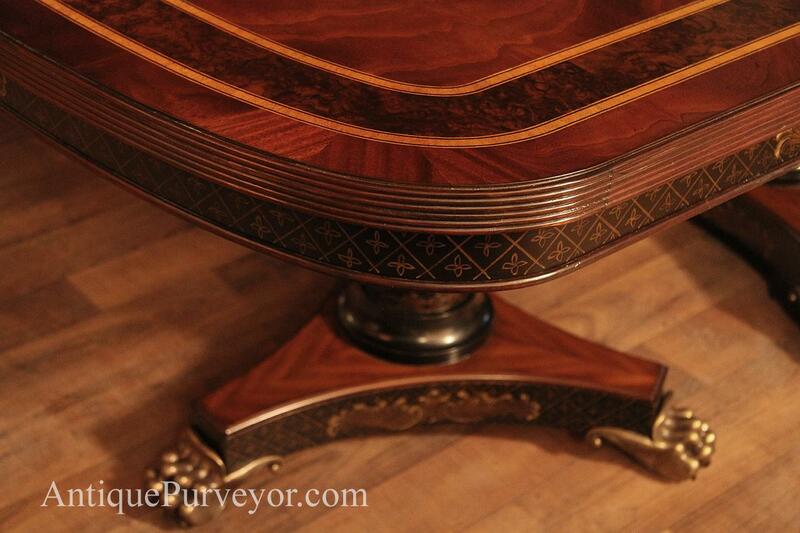 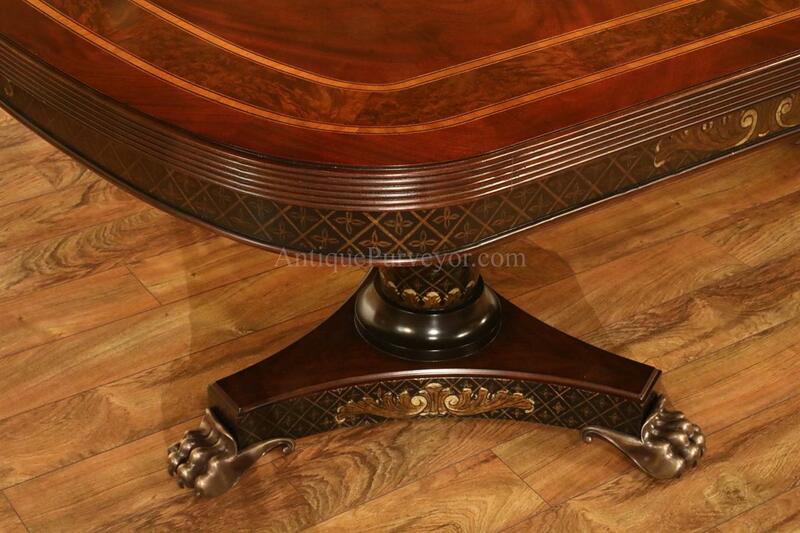 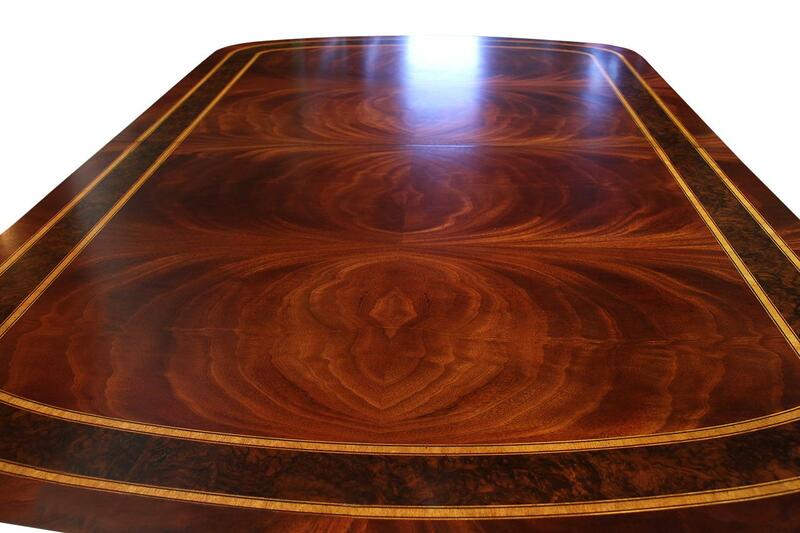 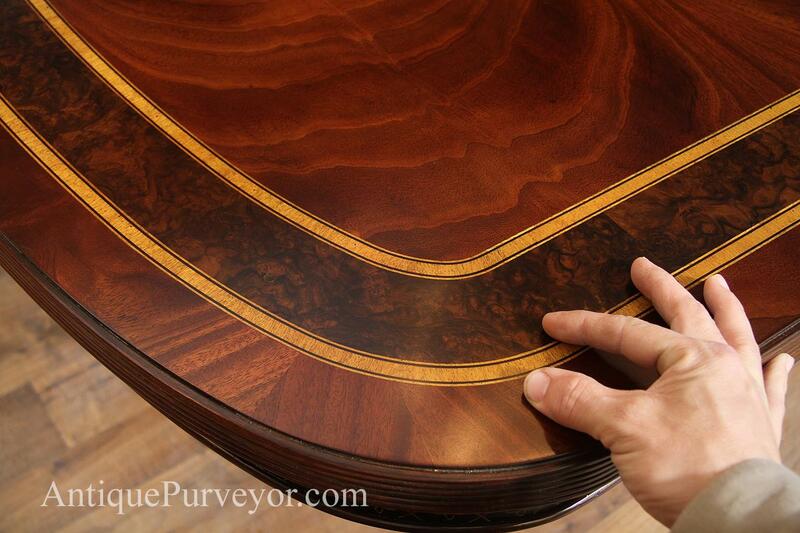 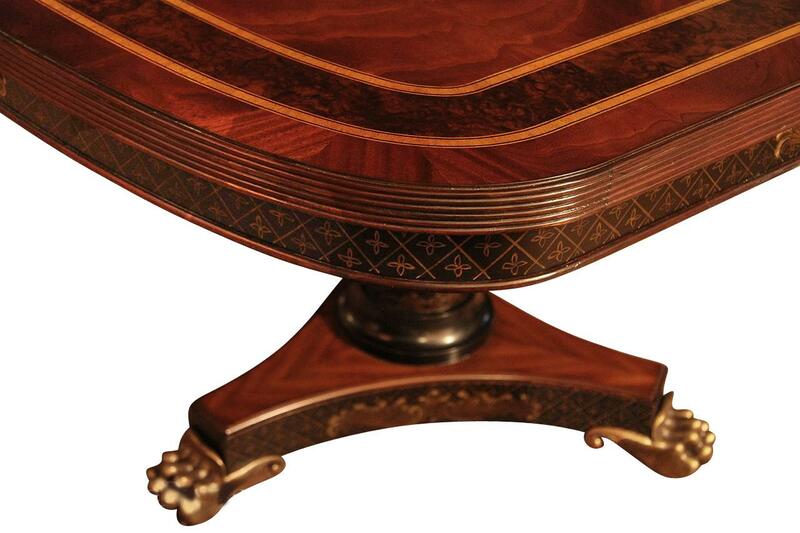 Multibanded with thin satinwood inlays, this table table is a show stopper from every angle. 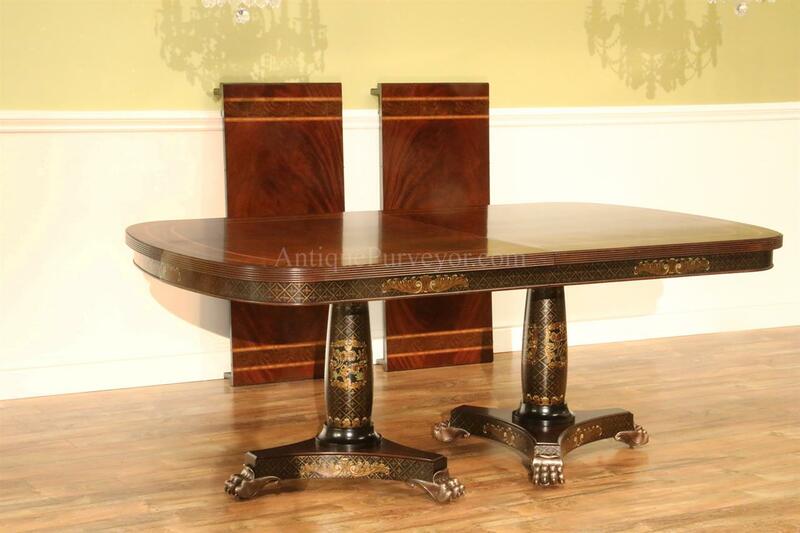 Make a fantastic designer dining room set with this table and upholstered dining room chairs which can be gayfully upholstered to really show off your space. 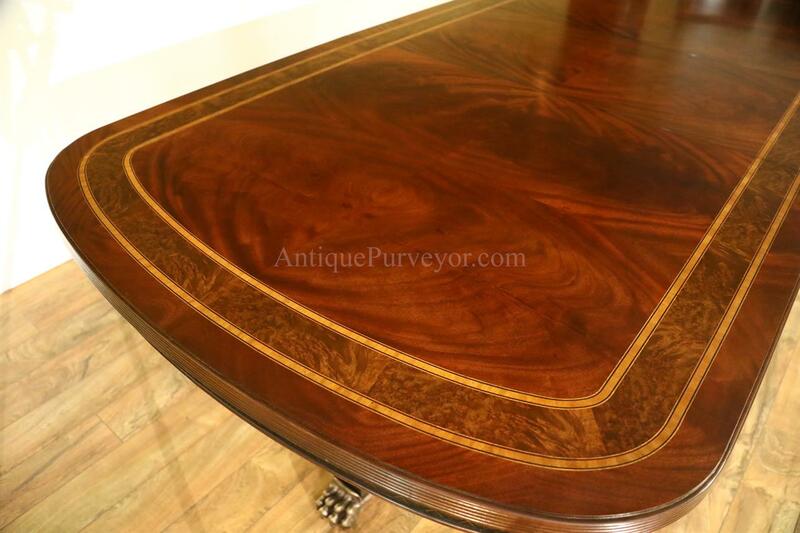 Well made table with sturdy double pedestals and proudly overbuilt. 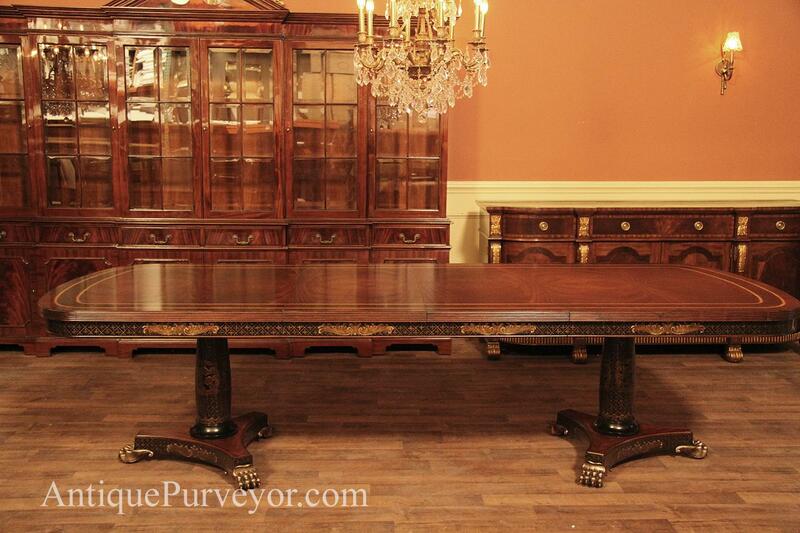 Measurements: 77" long and comes with two 20inch leaves.